Rob Axton from Country RV in Mount Maunganui has a problem. Although, as far as problems go, it’s quite a good one. He ordered the company’s first new Mobilvetta A-Class motorhome last November and subsequently a few more this year. Now at the midway point in 2017, he’s completely sold out. Like a competition-class catamaran, Country RV’s first A-Class RV brand has gotten off to what can only be described as a flying start. "I think our customers see in them what we saw in them when we first investigated bringing Mobilvetta to New Zealand," he says. "When I first saw one, I was impressed. I loved the layout options, I loved the way the manufacturer has incorporated a nautical theme into the interior, and the quality of the cabinetry and fittings is obvious from the moment you step through the door." Rob has been in the industry since he was 18; the last 12 years have been spent in New Zealand. With Country RV and Country Caravan’s lengthy joint history of not only selling recreational vehicles but also servicing and repairing them, Rob is a pretty sound judge of what constitutes a well-made camper. Mobilvetta, he says, with its 100 percent wood-free, composite resin fibreglass construction, its use of aluminium reinforcing, and emphasis on quality iTech insulation and double-glazing, more than fits the bill. Mobilvetta is part of the Trigano Group and a familiar name on Europe’s highways, but this is the first time Kiwi motorhomers have had a chance to check out the range. And the full range will be available, too. Country RV is in the process of landing more 79, 80, and 85 models. As the name suggests, the K-Yacht designation signifies a marine theme to the interior. How do the three models compare? Size-wise there isn’t a lot in it (the 80 is the shortest at 6990mm, the 79 is 7430mm, with the 85 a shade shorter than that), so the differences mainly come down to the layout. The 79 features an interesting twist in that the bathroom is encountered as you move through the motorhome to the rear, before the bedroom. This might sound slightly discombobulating on paper, but in practice, it works rather well. Slide the partition door aside, separating living from sleeping quarters and you’re faced with a tasteful basin mounted in solid cabinetry immediately ahead, while a roomy shower box hidden behind frosted doors sits to the left and the toilet to the right. Curving stairs giving access to each side of the centrally-mounted queen bed reinforce the superyacht atmos, as does the curved bathroom and kitchen cabinetry, wood panelling, and subtly recessed lighting, ensuring the whole cabin is nice and bright when you need it to be. 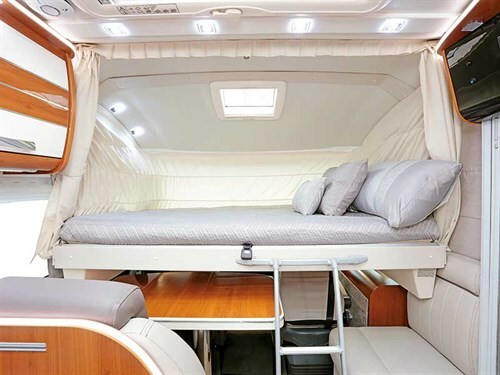 Each side of the 79 model’s rear bed features a generous side table, augmented with cubbies above. The Mobilvetta 85 swaps the queen for two single beds accessed via centrally-mounted stairs. Each model features a supplementary auto drop-down double bed at the front as well, which is tucked neatly away above the front living space. The Mobilvetta 80 switches a north-south queen configuration for an east-west bed, or you can ditch the fixed beds altogether and go for twin drop-downs front and rear, which gives 80 model owners the ability to configure a permanent rear-lounge featuring generous U-shaped seating instead. Fiat’s dependable Ducato takes the strain for all three Mobilvetta models. Country RV has ensured every Kiwi-bound version features Fiat’s Euro 6-compliant 150hp turbo diesel. Mobilvetta models receive a Winter Pack preparation, which includes an insulated wastewater tank, underfloor heating, and a Truma iNet-ready Combi 6 gas water heating system. 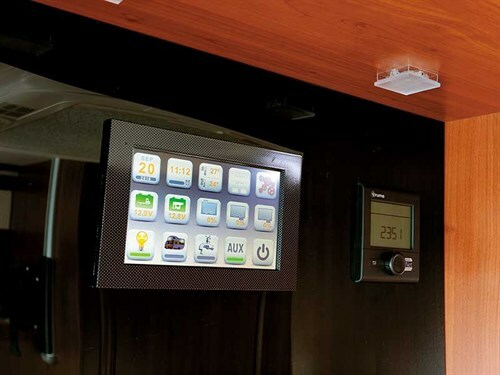 All house controls are accessed through a simple-to-use LCD touchscreen panel. Satellite dishes, 130W solar panels, LED lighting, exterior shower and barbecue connectors, and heavy-duty flyscreens and blinds are all on the standard fitment list. 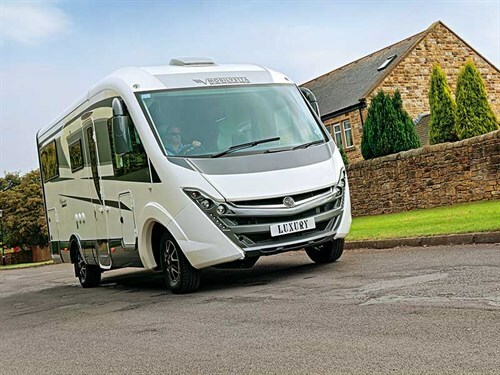 Rob says all Mobilvetta models sold by Country RV are covered by a five-year bodyshell water ingress guarantee and a two-year habitation guarantee, which covers replacement parts and labour costs for anything that needs to be fixed during this time after normal use. 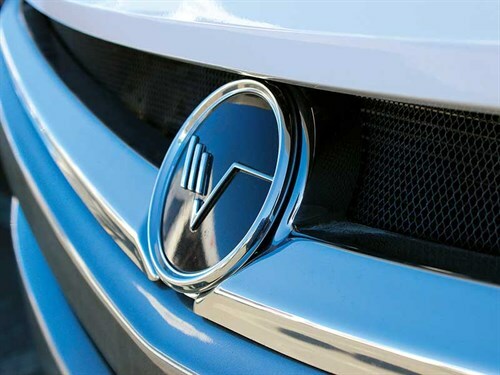 Another bonus is the Mobilvetta’s 2000kg braked towing capacity, meaning a boat or an A-framed vehicle coming along for the ride is a viable option. While we’re at the rear of the Mobilvetta 79, it’s worth noting the large garage that is a feature of both this and the Mobilvetta 85. It’s the reason these models’ rear beds are raised, and I’m pretty certain life on the road will be all the better for it. The manufacturer reckons a full-size scooter will fit in here, although if you make use of the Mobilvetta’s towing ability (or mount a bike rack on the rear), the large garage area will swallow everything else whole. Incidentally, thanks to clever packaging inside, you needn’t feel like you’re going to wake up each morning only to start the day by bumping your head on the ceiling. It’s surprising how workable raised beds are in the right vehicle, and the Mobilvetta certainly looks to be one of those. Inside and out, the Mobilvetta 79 ticks plenty of boxes. This is a quality A-Class vehicle in the truest sense. The ability to configure just the right living and sleeping setup to suit, all the while retaining quality craftsmanship and attention to detail throughout, makes it easy to see why Rob Axton and his team knew they were onto something special here. My only advice would be to get in quick if you’re after a close-up look. The way the order book has been filling over the last six months, Country RV probably has more ‘good problems’ to contend with in the months ahead. For more information, call 0800 288 860 or visit countryrv.co.nz.